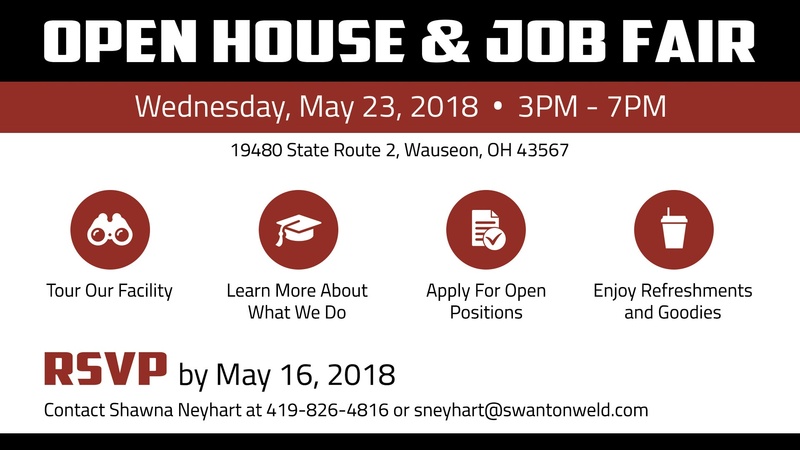 Swanton Welding will host an open house and job fair on Wednesday, May 23, 2018 from 3:00 p.m. - 7:00 p.m. Located at our Heavy Fabrication facility, we will have representatives from Swanton Welding's human resources department and other Swanton Welding hiring staff on hand to answer questions about our current open positions. Please RSVP by May 16th 2018.